I don’t particularly care for fish that tastes fishy. I know all the fish haters out there will understand what I mean. I’m trying to eat more fish. I’m trying to like it. For the most part, seafood is starting to grow on me. I will definitely try any fish that is presented to me and I might even like some of it. One of the fish we buy the most is Mahi Mahi (or dolphin fish, but apparently people are less likely to eat it if it has the word “dolphin” in the title). The texture of the Mahi Mahi is pleasant; flaky but also thick and moist, and it’s not overly “fishy” but it still tastes like fish. 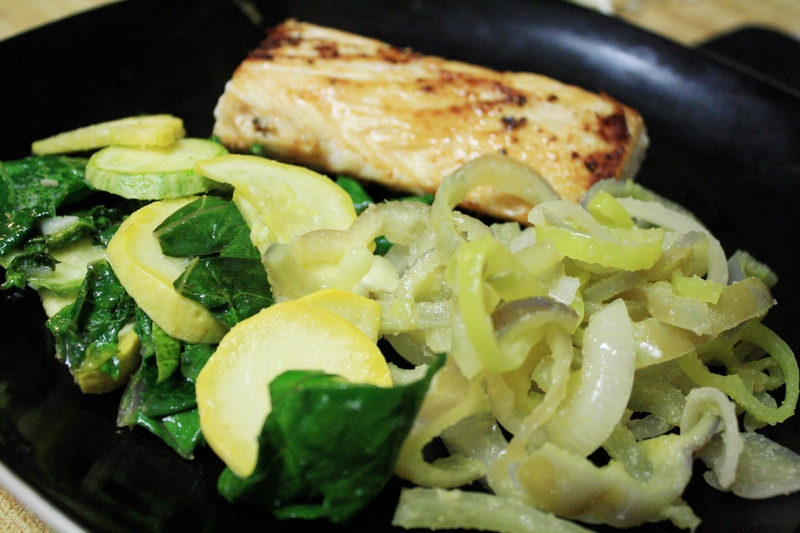 The other night we made Mahi Mahi and a ton of vegetables from our CSA box since they were starting to pile up! Here’s the recipe for Spicy Mahi Mahi. 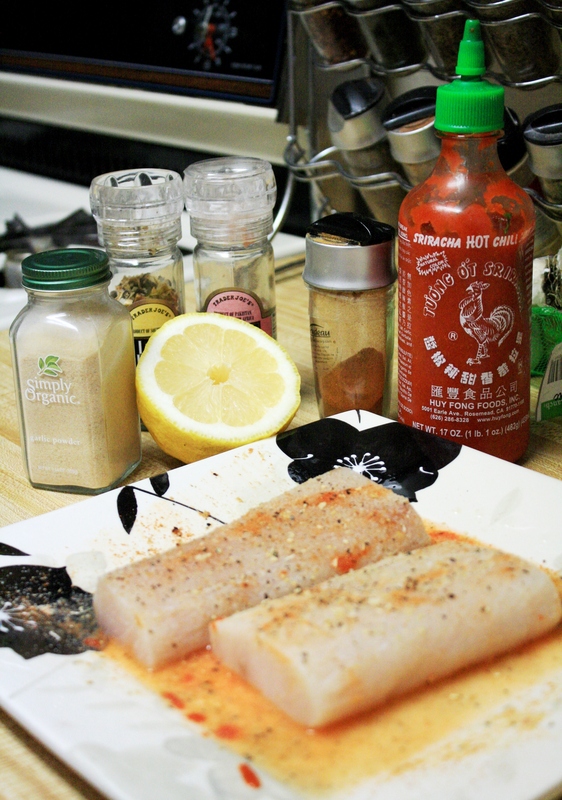 Brush both sides of fish with chili paste. The more chili paste you use, the spicier it will be! Sprinkle both sides of fish with seasonings. Let sit for 20 minutes. Heat pan on medium heat with butter or oil. Grill fish according to package or approximately 4-6 minutes on each side so that fish is seared and cooked through but still moist. Serve with vegetables or other side dish and enjoy!